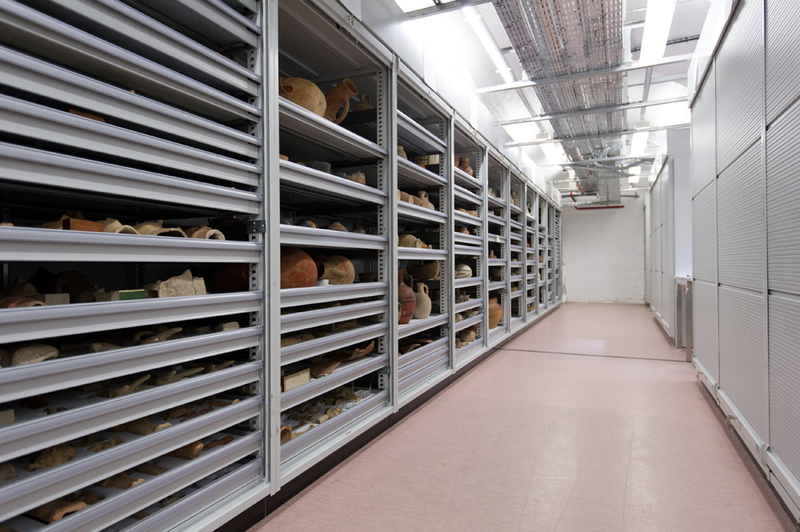 Lista designed and supplied a storage solution for pottery and rare books for a UK National Museum. 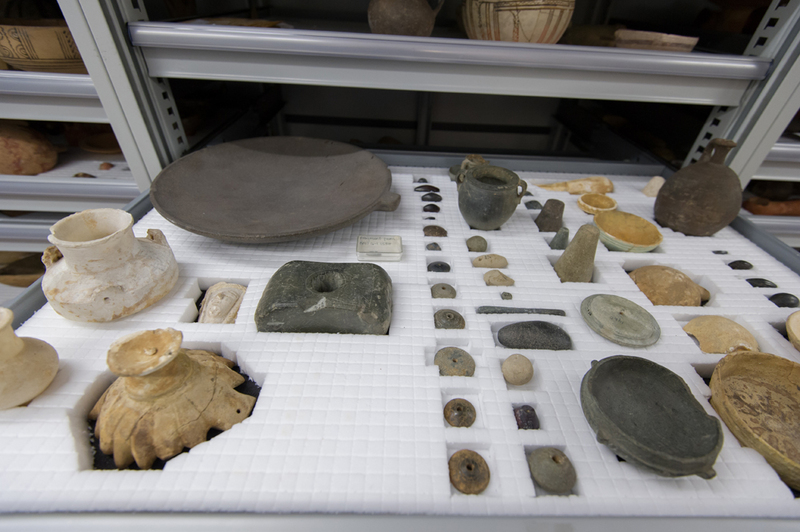 The system was tailored to fit the wide variety of sizes of pottery and precious books in the museum's extensive collection. Lista's storage wall system was configured to provide individual locations for specific artefacts or for storing a collection of small items on a single shelf. 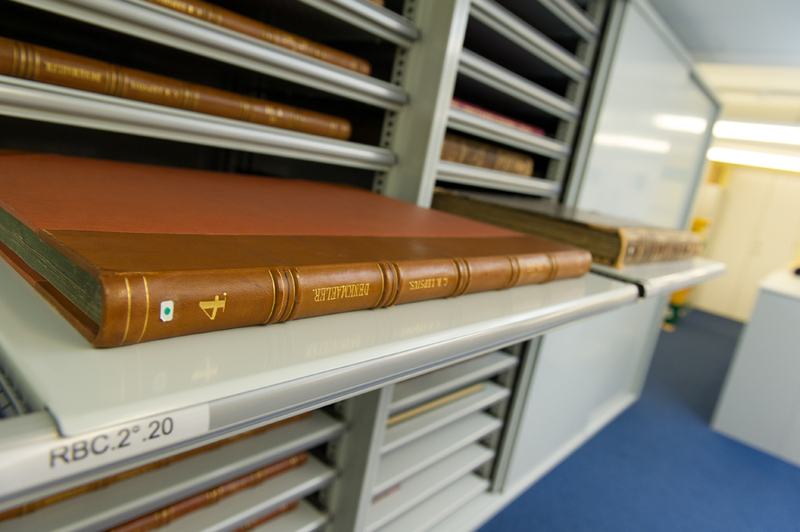 The pull out shelves can be spaced at 25 mm increments from top to bottom of the storage wall, allowing space for very large items or highly condensed for small items. 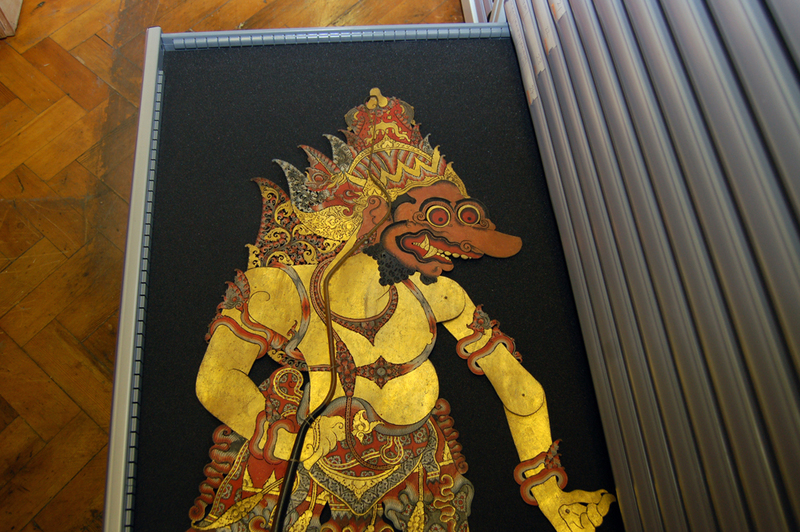 The book store employed a sliding door option to minimise intrusion into an area with limited space. 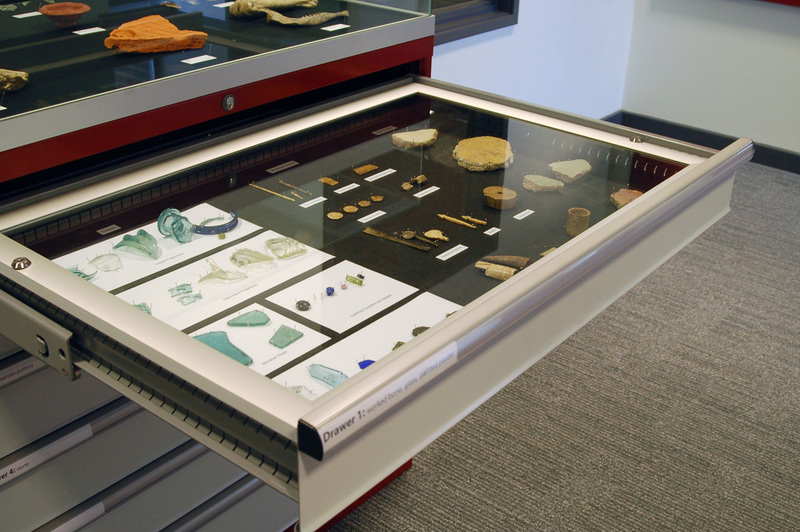 Here, Lista's drawer system was combined with a display top, allowing the storage unit to be used by visitors in the exhibition display area. 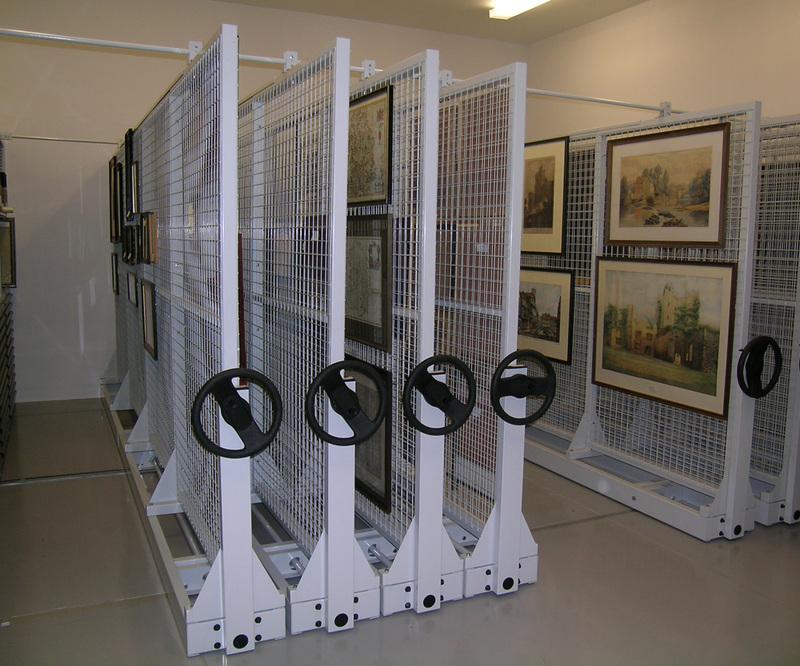 Lista designed and installed a storage wall system with heavy duty drawers and shelves, which allowed access to the stored artefacts. 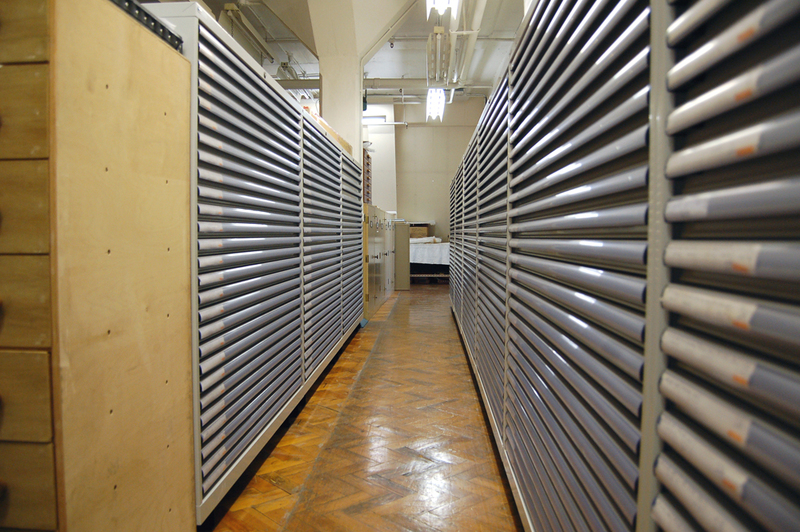 Lista also provided a run of mobile picture racking. Lista is a world leader in the design and manufacture of innovative, high quality, modular storage and workplace systems. With over 60 years experience, and thousands of installations world wide, Lista has the industry knowledge and creativity to specifically address the unique needs of your applications with a comprehensive selection of products.